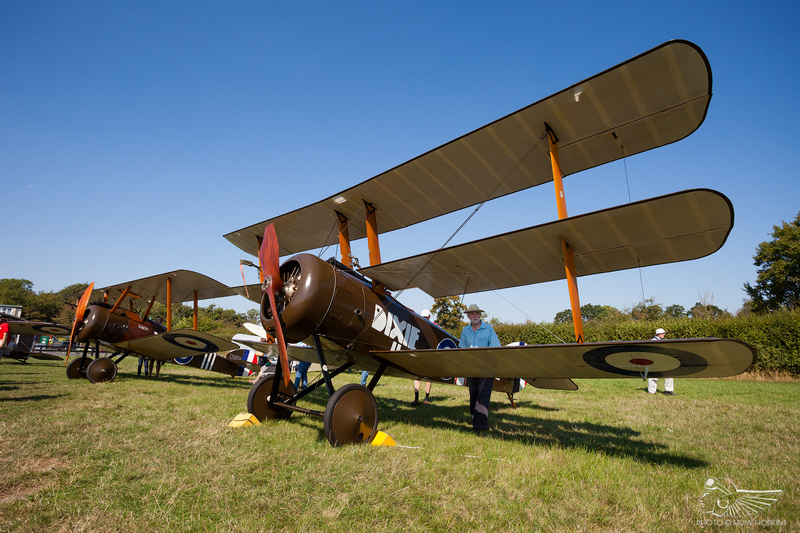 With fewer visiting acts than the other Sunday airshows on the Shuttleworth calendar, Heritage Day put more of a spotlight on the based collection of vehicles and aeroplanes. 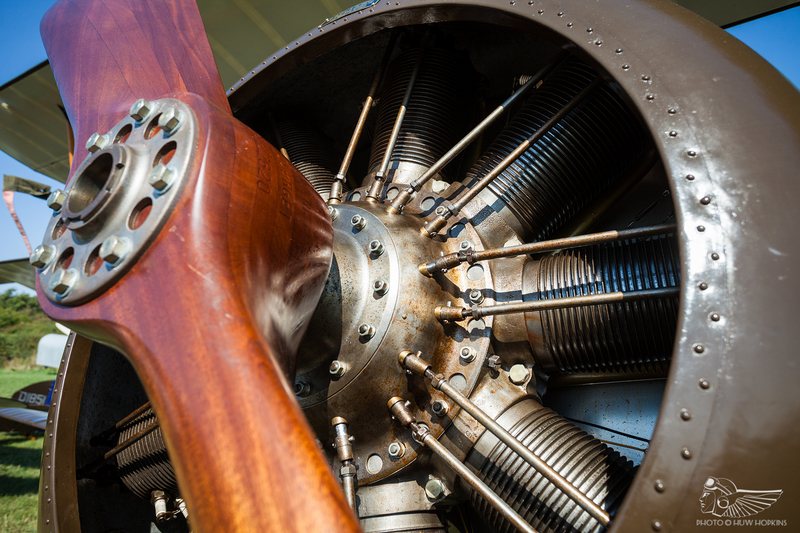 Immersion into the ethos of the Collection is encouraged with the inclusion of unrestricted access to the aircraft paddock in the morning, with visitors able to wander among the aircraft without barriers and view the aircraft up close, with engineers on hand to indulge the curious. 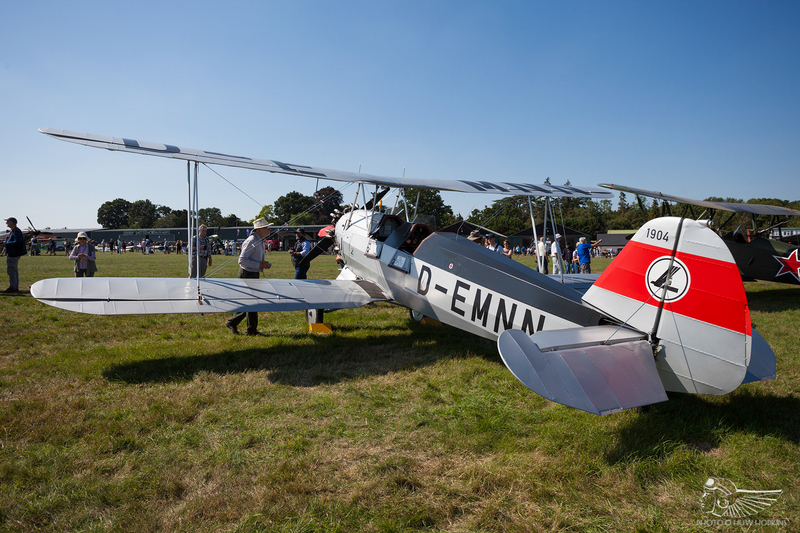 Enjoying the historic vehicle parade and line-up, vintage bus rides to the Shuttleworth House and a wander through the Swiss Gardens were all a must too; this is the perfect event to explore other facets of the Collection that are just as much a part of its history and character as the aircraft. That said, Heritage Day did feature a handful of visitors including aerobatics from the Global Stars team, the impressive Pitts Model 12, Fw 44 Steiglitz, Auster and the aforementioned pair of Spitfires. 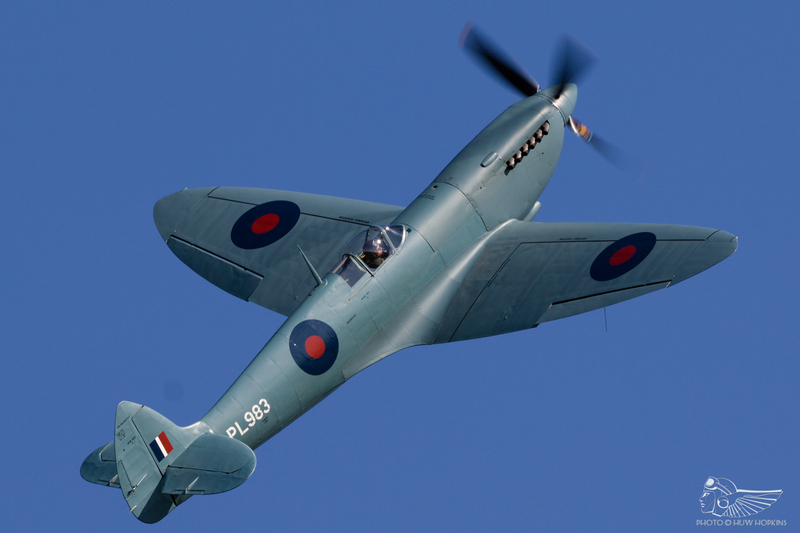 The first post-restoration solo display appearance of Spitfire PR.XI PL983 was something of a homecoming. 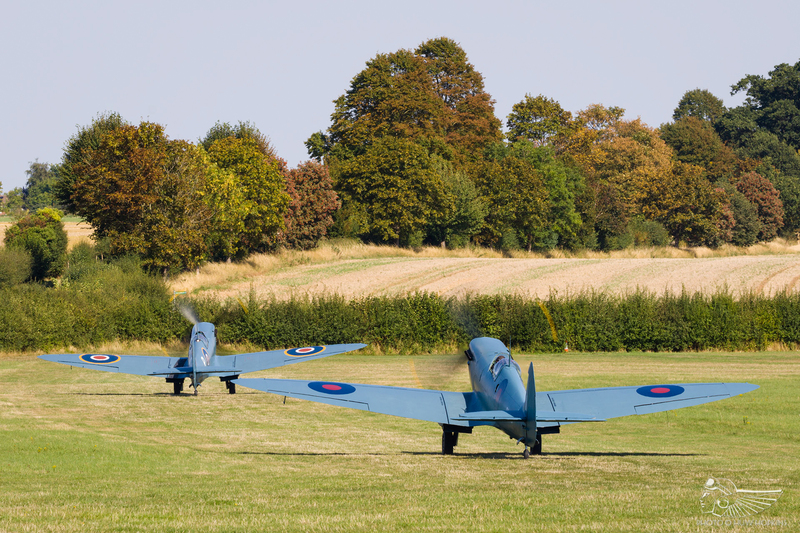 From 1950 to 1975 the Spitfire had been owned by the Shuttleworth Trust and kept on static display at Old Warden. 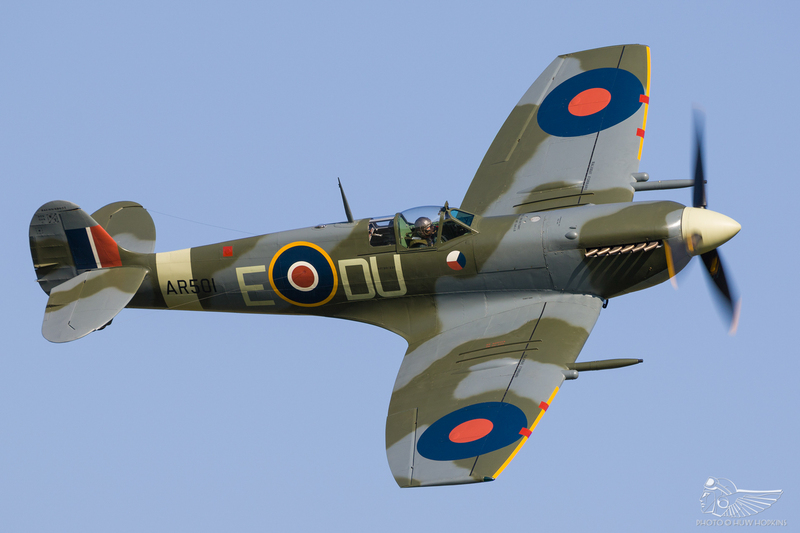 PL983 re-flew in May 2018 following restoration by Historic Flying Ltd and the Aircraft Restoration Company, and debuted at Flying Legends in the opening Spitfire tail chase. 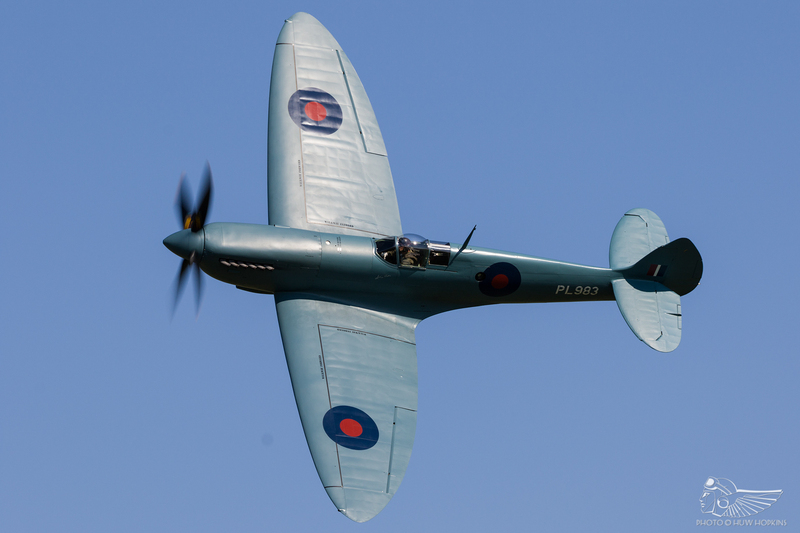 The display at Old Warden provided an opportunity to see the Spitfire take centre stage with a beautifully lyrical display showing off the particularly clean lines of the PR.XI. 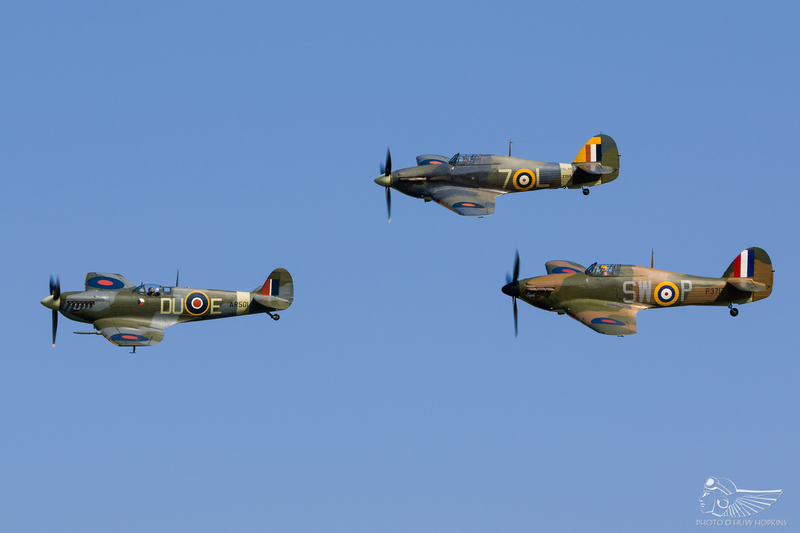 The Shuttleworth appearance also heralded a unique opportunity to see the world’s two flying PR.XIs together as PL983 was joined by the Hangar 11 Collection’s PL965, flying together in formation for several passes before solo displays; notably, something unlikely to be repeated following Peter Teichman’s retirement from full-time display flying at the end of the 2018 season. 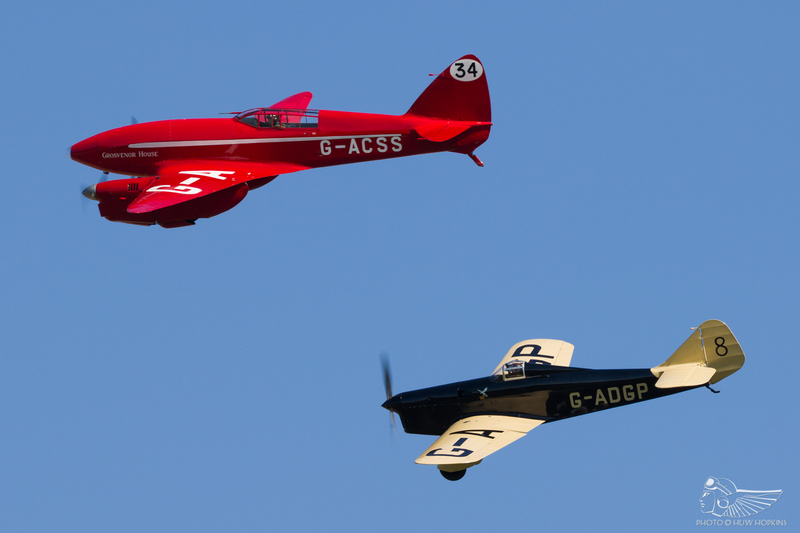 The sight of the two photo-reconnaissance blue machines set against the clear blue sky and John Romain’s perfect solo display will be remembered as two of the UK airshow standouts in what has been a year full of highlights. Displays by the newly acquired Miles Hawk Speed Six, flown for the first time with the de Havilland Comet, and the Sopwith Camel (still in its debut season) highlight the drive of the current Shuttleworth administration, building on the values and vision of both Richard and Dorothy Shuttleworth and expanding the Collection in new and exciting ways. 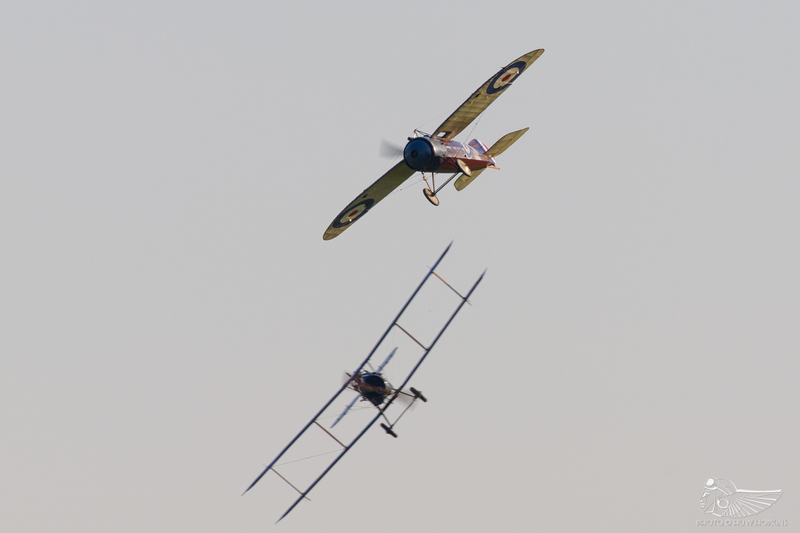 The Camel was joined in the air by the Sopwith Triplane for some loose formation passes, making a lovely Sopwith pair and showcasing some of the exemplary work done by the Northern Aeroplane Workshops to recreate these aeroplanes so faithfully. The appearance of a Focke Wulf Fw 44 Stieglitz brought back fond memories of Peter Holloway’s ‘Shuttlewaffe’ which resided at Old Warden for many years and which included an Fw 44 amongst its ranks. 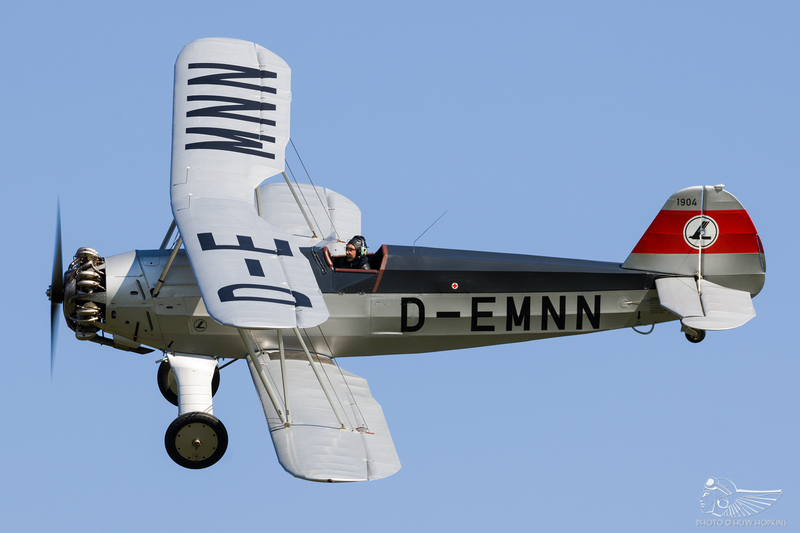 The German registered Quax Flieger machine was put through a lyrical aerobatic routine – a masterclass in energy management. A return visit in future would be most welcome. 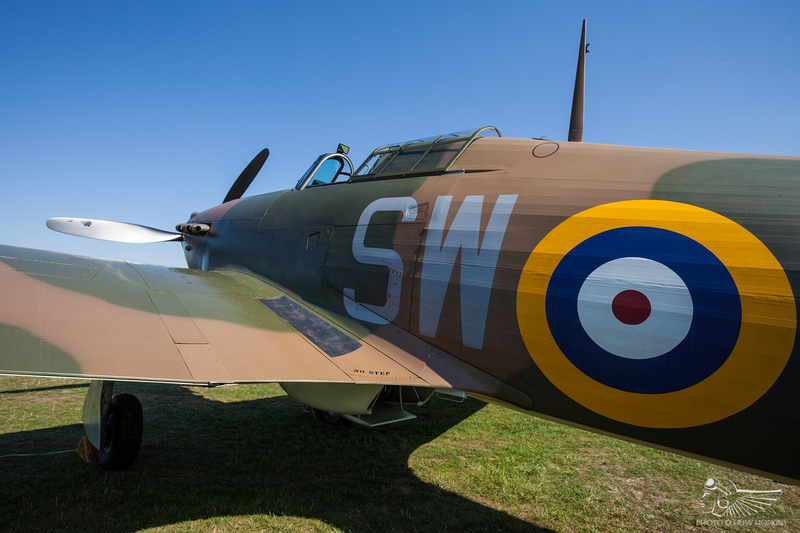 The ‘home team’ warbirds put in a good appearance too, with Spitfire Mk.V AR501 leading the pair of Hurricanes in a vic three before their respective routines, Dodge Bailey providing some solo aerobatics in the clipped wing ‘baby’ Spit before interspersed solo displays from the two Hurricanes. 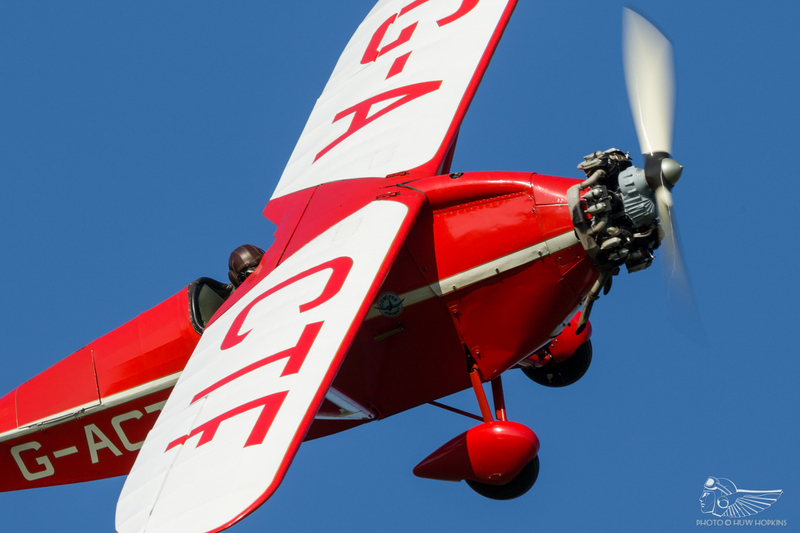 The Gladiator’s return to the flying programme signalled the rectification of engine issues that had kept it on the ground for some time – it’s all too easy to take these rare vintage types for granted. 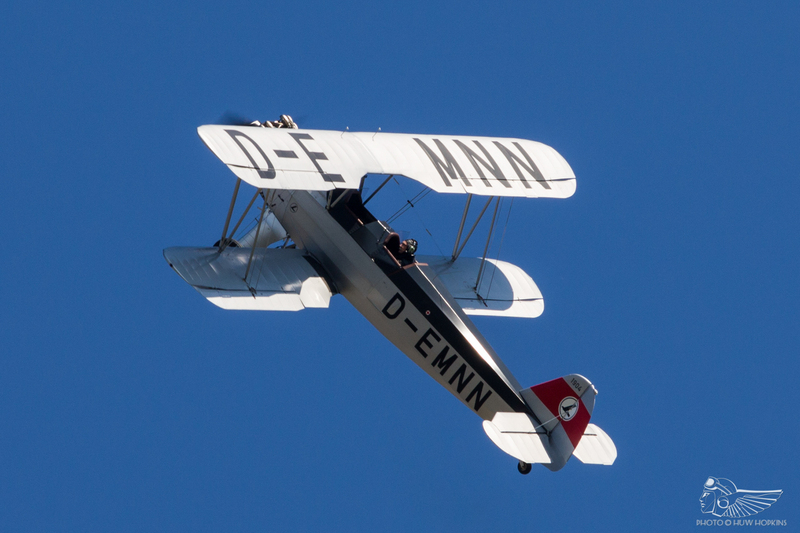 One particularly nice segment of the flying display featured two of the aeroplanes flown by Richard Shuttleworth – DH.60X Moth and Desoutter I – flying in formation with the Comper Swift, possibly a ‘first’ at Old Warden. 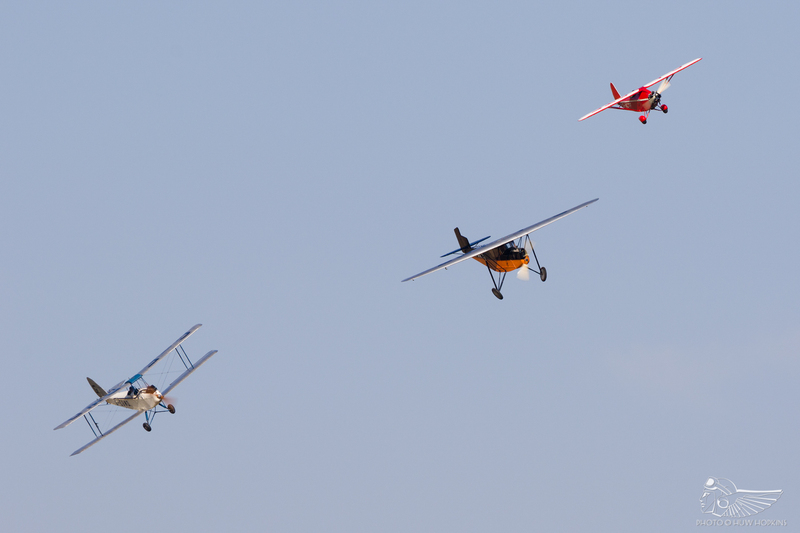 These ‘legacy’ aeroplanes epitomised the spirit of Heritage Day. It was left to the Collection’s First World War types to wind down the afternoon, bathed in glorious warm light.  Frank Chapman provided one of the most wonderful routines in the Avro 504K I’ve seen to date, illustrating the type’s effectiveness as a trainer and barnstomer. 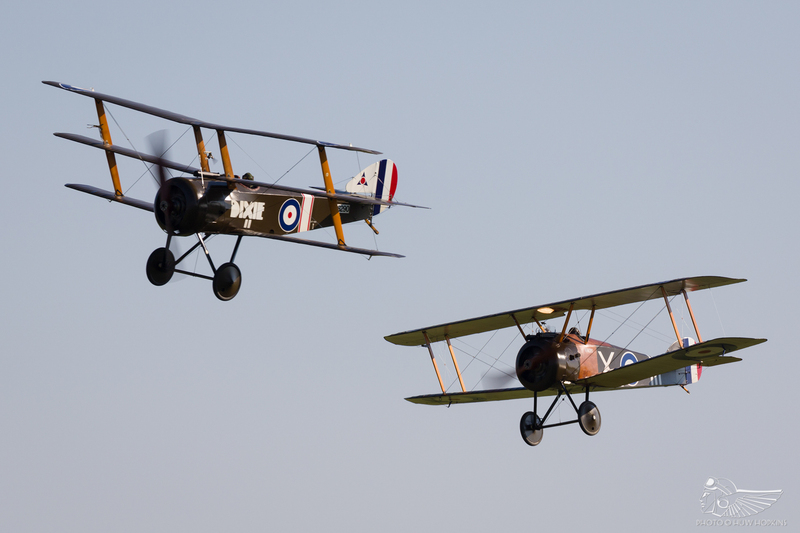 Bristols M1c and F2b were also flown together, as the Sopwith pair were earlier in the day. 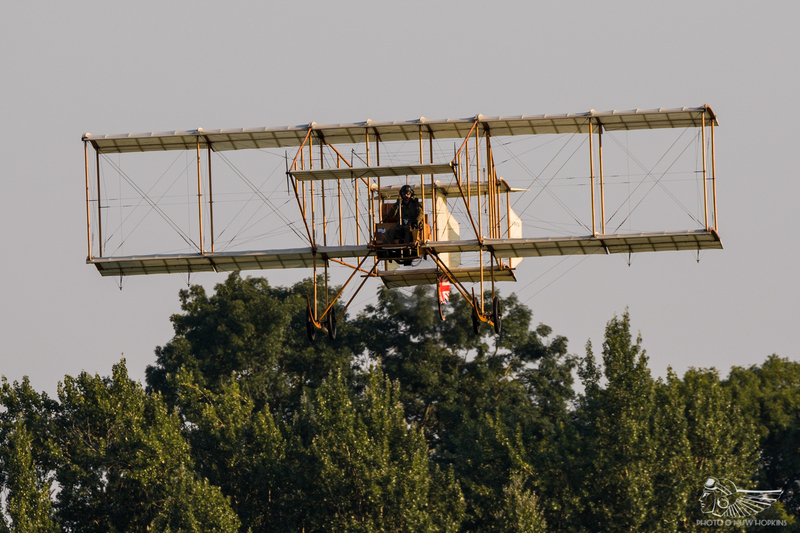 As the air chilled, the replica Edwardians used in ‘Those Magnificent Men and Their Flying Machines’ got airborne for the concluding segment of the day, with the Bristol Boxkite and Avro Triplane enjoying the calm conditions. Chief Engineer Jean-Michel Munn put on a real display in the Boxkite, quite unlike any I’ve seen before. 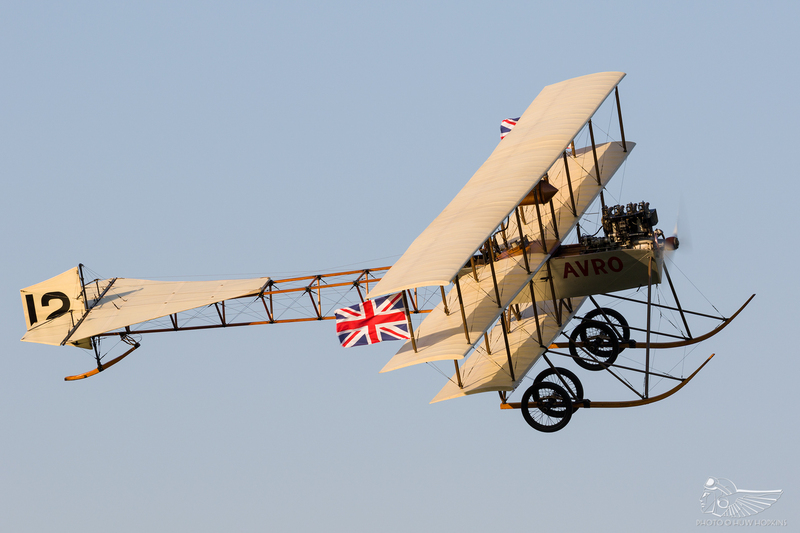 It was a great shame that several important Shuttleworth aeroplanes were necessarily absent from the flying – particularly so the Lympne trial types. 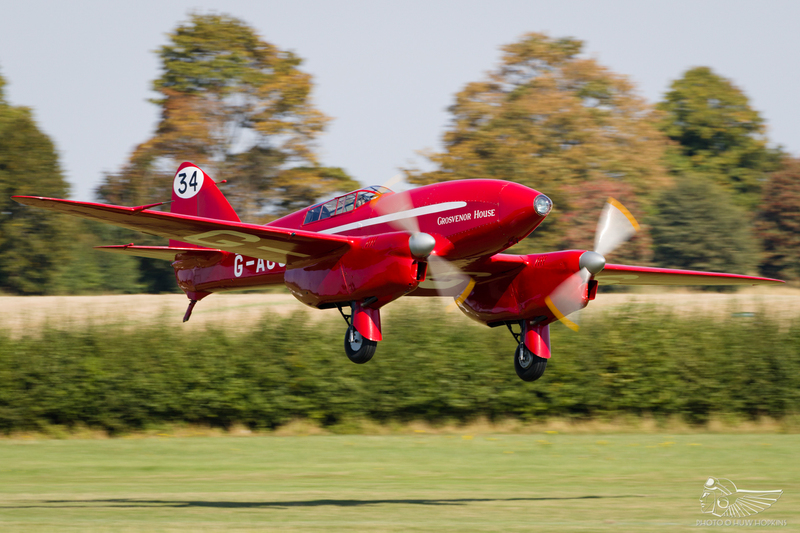 The net result was that Heritage Day unfortunately felt like a more run of the mill show, rather than the expansive celebration of the Shuttleworth Collection that it could have been. 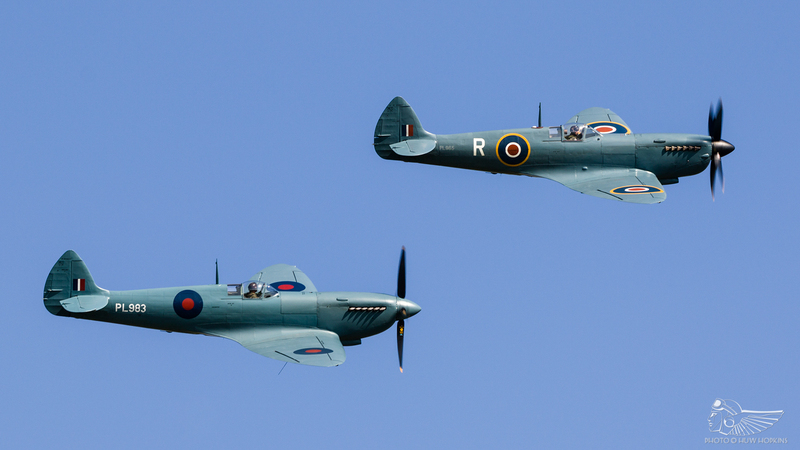 Though we mustn’t take any of these aircraft for granted, coming after a series of strong themed Sunday shows (RAF 100, Fly Navy and the Military Pageant), the show felt more generic and relied on the Spitfire pair to bolster the flying programme. 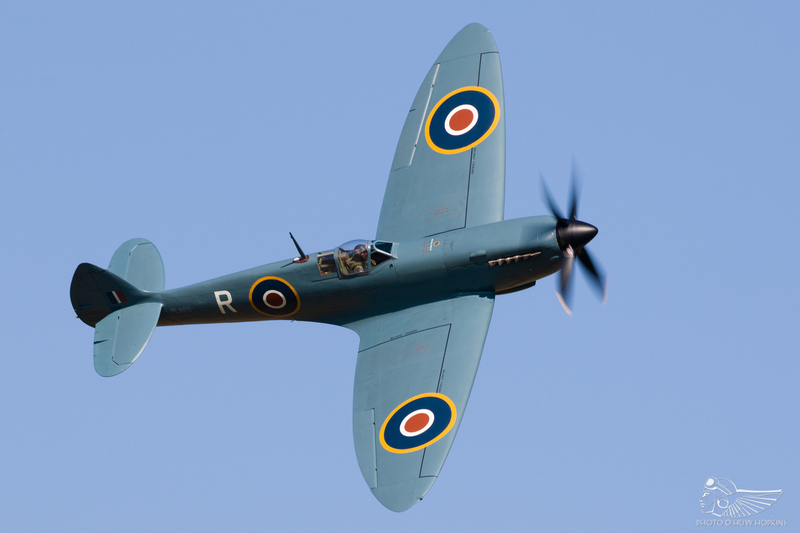 It seems this may not have been lost on the airshow organisers at Shuttleworth, and next year Heritage Day is replaced by a Vintage Airshow, perhaps with a focus on the non-military types and vintage visiting aircraft – it sounds like it will suit Shuttleworth perfectly!